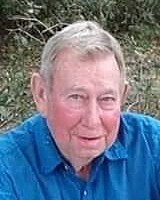 Alfred C. Reese, 76, of Yulee passed away Saturday, November 17, 2018 following a brief illness. Mr. Reese was born December 16, 1941 in Baxley, Georgia and made his home in Yulee, Florida moving from Jacksonville, Florida 38 years ago. He was a member of Blackrock Baptist Church where he volunteered with the AWANA program. Mr. Reese was a devoted husband and father and his favorite past-time was fishing. He was predeceased by his parents, Aaron and Vera Reese; and by two brothers, Ray Reese and Daryl Reese. Survivors include his wife of 58 years, Jean Reese; a son and daughter in law, Ronnie and Carol Reese; a daughter, Connie Ingle, all of Yulee; two brothers, Clinton Reese (Kay) and Willard Reese (Pattie); a sister Patsy Reese (Lonnie); three grandchildren, Christopher Reese, Justina Morgan and Christy Ingle; two great grandchildren, Matthew Morgan and Hartley Brown; and several nieces and nephews. Funeral services will be held at 11:00 a.m. Tuesday, November 20, at Blackrock Baptist Church in Yulee, Florida. Interment will follow at Mt. Vernon Church Cemetery in Baxley, Georgia.